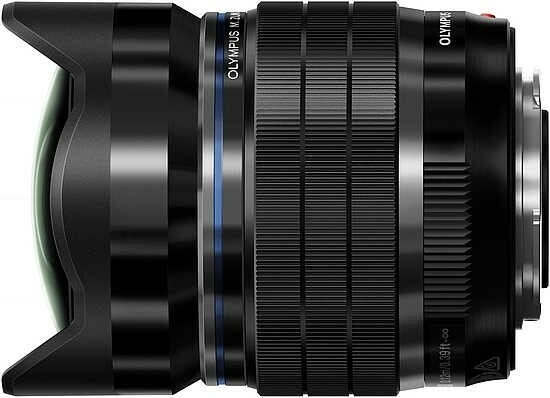 The Olympus M.Zuiko Digital ED 8mm f/1.8 Fisheye Pro is a professional fisheye lens for Micro Four Thirds compact system cameras. 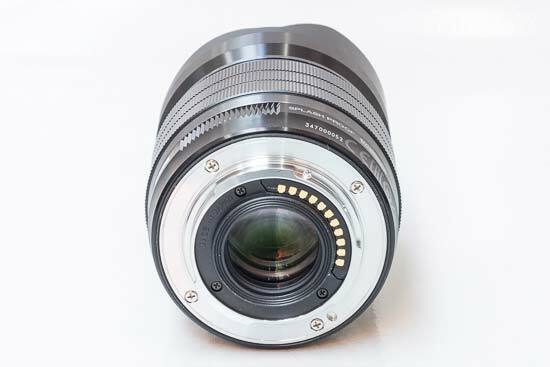 Providing a focal range of 16mm in 35mm terms and a 180° angle of view, the fully weatherproof 8mm lens features 17 elements / 15 groups, including one aspherical element, three Super ED (extra-low dispersion) elements, two ED elements, one Super HR (high-refractive index) element, and two HR elements. 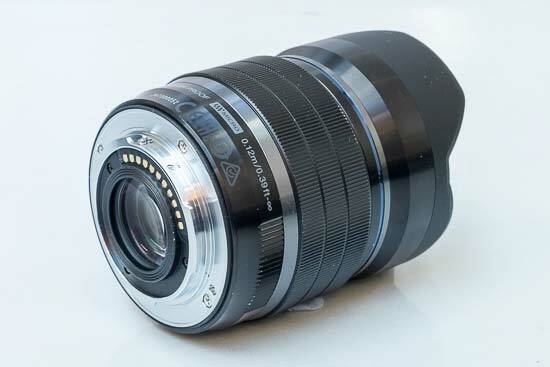 The Olympus M.Zuiko Digital ED 8mm f/1.8 Fisheye Pro currently retails for £799.99 in the UK and $999.99 in the US. The Olympus M.Zuiko Digital ED 8mm f/1.8 Fisheye Pro is a weather-sealed fisheye lens with a dedicated Micro Four Thirds mount. 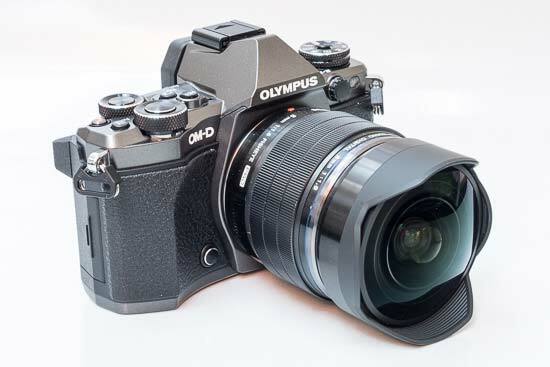 Note however that in order to take full advantage of the weatherproofing, you will need to mount it on a similarly sealed body, like the new OM-D E-M5 Mark II that we tested it with. Tipping the scales at 315 grams and measuring 80mm in length and 60 in diameter, the Olympus M.ZUIKO Digital 25mm f/1.8 is quite a substantial prime lens, but given the constant f/1.8 maximum aperture, that's perhaps no surprise. 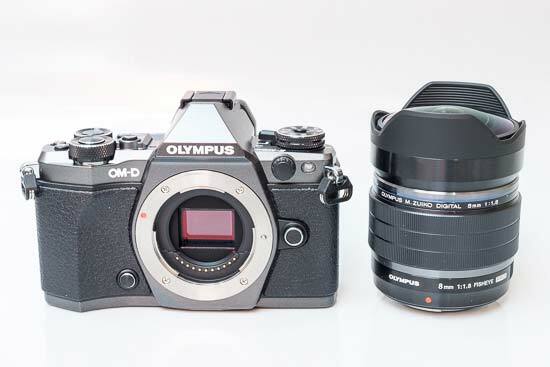 The Olympus OM-D E-M5 Mk II used for this test is a good match for the lens, offering good balance, fast auto focus, and full environmental seals. The Olympus M.Zuiko Digital ED 8mm f/1.8 Fisheye Pro lens itself is very well built, fully living up to the Pro designation that Olympus have given it. 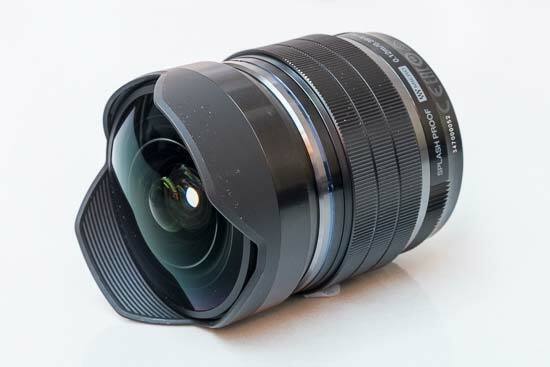 In terms of features, the Olympus M.Zuiko Digital ED 8mm f/1.8 Fisheye Pro lens doesn't have a great deal to offer. 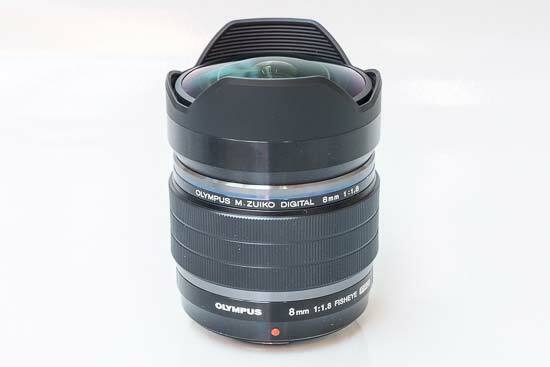 The Olympus M.Zuiko Digital ED 8mm f/1.8 Fisheye Pro lens comes with a standard Micro Four Thirds mount that is, as you'd expect, made of metal, with a rubber seal around the mount. Communication between lens and camera body is provided through eleven electrical contacts. 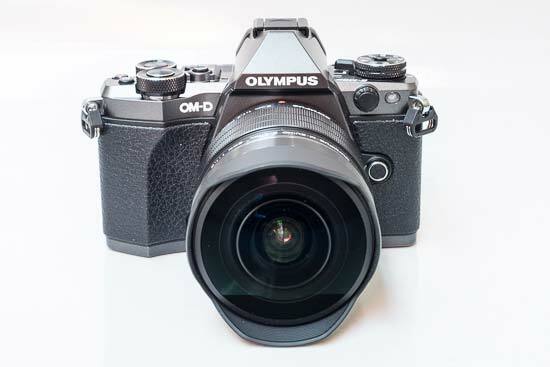 The Olympus M.Zuiko Digital ED 8mm f/1.8 Fisheye Pro is supplied with lens caps and a non-removeable petal-shaped lens hood - there's no bag included. Note that you can't use traditional screw-on filters, or filters behind the rear element, with this lens. 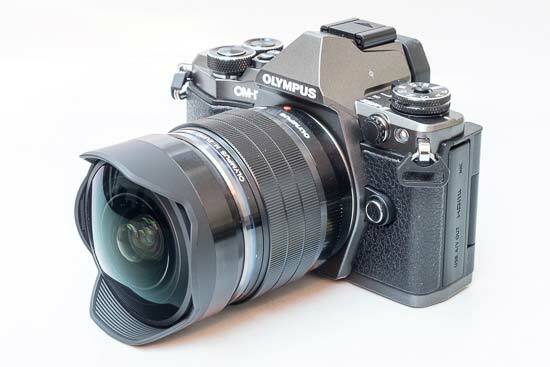 On the Olympus PEN OM-D E-M5 Mark II body we used for this review, the lens focused quickly and quietly. 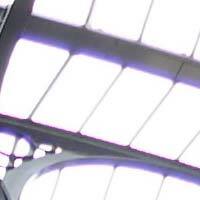 AF speeds were fast, with the lens locking on to the subject almost instantly in most cases. 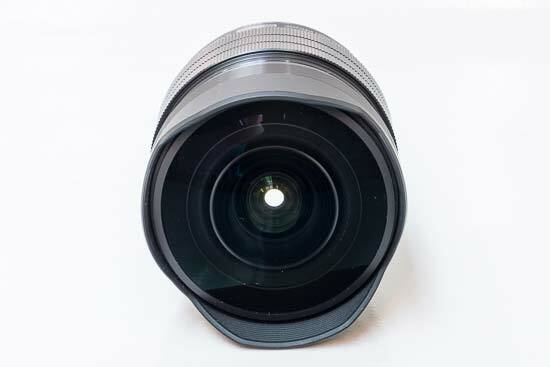 Focusing is fully internal, meaning the length of the lens barrel does not change. Manual focusing works just like it does on any other Micro Four Thirds lens. In MF, S-AF+MF or C-AF+MF mode – as set on the camera – you can simply grab the focus ring and rotate it to focus on your subject. Focusing is done “by wire” as the ring is not mechanically coupled to the moving lens elements. 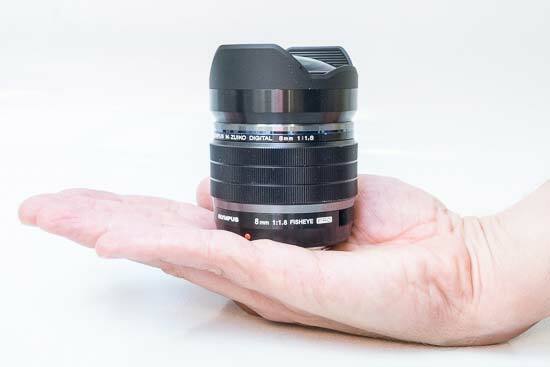 The focus ring has no stops, hard or soft, at either end of the focus range – which is again typical of an MFT lens. 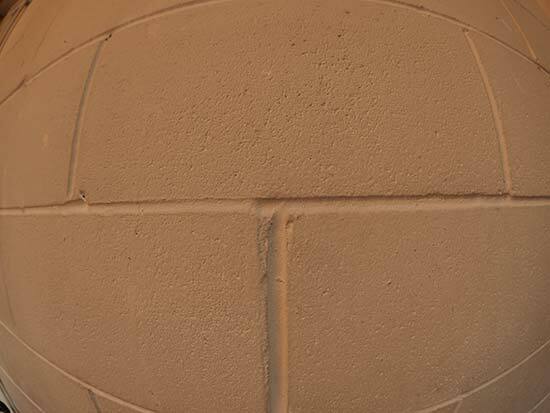 The Olympus M.Zuiko Digital ED 8mm f/1.8 Fisheye Pro has a diagonal angle of view of 180°. 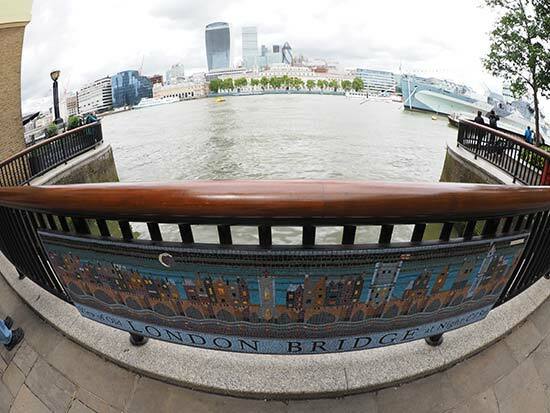 Lateral chromatic aberrations, typically seen as blue or purple fringes along contrasty edges, are a sligh problem with the Olympus M.Zuiko Digital ED 8mm f/1.8 Fisheye Pro. While not as pervasive as with some other ultra-wides, they are still a little too evident in areas of high contrast for a lens that costs this much. With the Olympus M.Zuiko Digital ED 8mm f/1.8 Fisheye Pro wide open at f/1.8, you can see a little light fall-off in the corners, but it's pretty negligible. 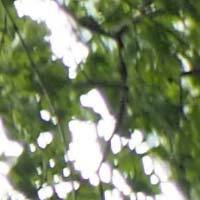 Stopping down to f/2.8 cures this problem almost entirely. Offering 0.20x magnification and a close focusing distance of 20cm from the sensor plane., the Olympus M.Zuiko Digital ED 8mm f/1.8 Fisheye Pro can actually get pretty close to your subject. 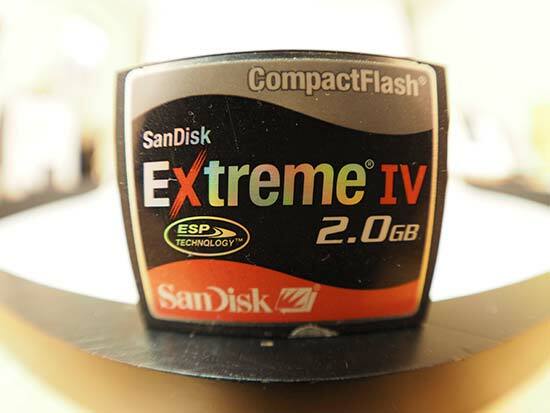 The following example demonstrates how close you can get – in this case, to a Compact Flash memory card. In order to show you how sharp the Olympus M.Zuiko Digital ED 8mm f/1.8 Fisheye Pro is, we are providing 100% crops on the following page.